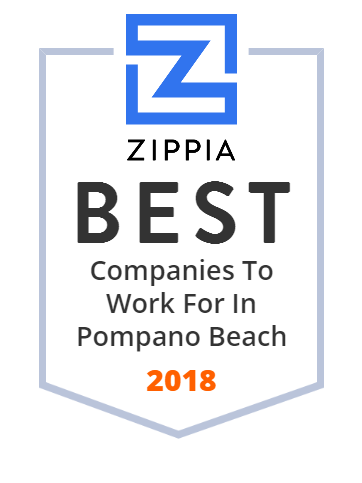 We hand-curated a list of the best companies to work for headquartered in and around Pompano Beach, FL using data on salaries, company financial health, and employee diversity. Point Blank Enterprises, founded in 1973, is the leader in the body armor industry. It provides body armor solutions to law enforcement professionals, corrections officers, Federal agents, and other key national and international customers. Products by Point Blank Enterprises not only provide superior protection but also optimum comfort in the most challenging environments. Brands include Point Blank Body Armor, Protective Products, PACA, PARACLETE(r), Advanced Technology Group, The Protective Group (TPG), First Tactical, Gould & Goodrich, United Shield International Limited, and Protective Apparel. The company has its headquarters in Pompano Beach, FL. USAnotebook. Com, owned and operated by KLUGEX, INC., is an online laptop computer reseller company located in Florida USA. It offers brand new and factory refurbished laptops online at cheap wholesale prices. Products include Gaming Laptops and Mobile Workstations, Rugged laptops and All-in-One desktop computers. USAnotebook. Com was established in 1992 and is located in Colorado USA. Lank Oil provides fuel, lubricants, chemicals, absorbants, tanks & pumps for the marine, construction, fleet fueling, automotive, aviation, industrial and commercial industries. Customers include gas stations, truck stops, construction sites, truck fleets, home heating, generators, commercial accounts, government facilities, marinas and yachts. The company was opened in 1965 and is located in Pompano Beach, FL. Sheehan Cadillac, opened in 1975, is a leading Cadillac dealer in Pompano Beach, FL. It offers a wide selection of pre-owned and certified pre-owned Cadillac vehicles, also certified CTS-V Coupe and Sedan, used Escalade SUVs, and SRX crossovers, etc. The company also has extensive parts and service departments and offers financing options to its clients. Apollo Energy Systems develops, produces and markets batteries, fuel cells and systems which incorporate those products. Its lead cobalt batteries power up electric vehicles and on-site power systems and its power plant system gives electricity to a home, farm, hotel, cell towers or commercial establishment. Its first battery plant was built in Puerto Rico. Apollo Energy Systems, Inc. was founded in 1966 and is based in Pompano Beach, Florida. Dinettes By Design, opened in 1990, is a family owned and operated dinette specialty store that offers a great selection of dining furniture such as kitchen sets, barstools, counter stools, spectator height stools, bakers racks, buffets and hutches, pub sets, formal dining sets, etc. Dinettes by Design also specilizes in commercial furniture and carry a variety of: Commercial tables and chairs, commerical barstools, swivel chairs and castered chairs. Located in Pompano Beach, FL, the company serves three counties: Broward County, Palm Beach County, and Dade County. Rothman Healthcare leverages EHR data to evaluate and visualize overall patient condition. Patient health trends are graphically displayed in real-time. Corpus Cogere, established in 2013, designs, manufactures, and supports innovative physical rehabilitation equipment and solutions, Cloud-based PT clinic software products, and home health tele REHAB solutions. Its products are the result of the active collaboration between physicians, physical therapist clinicians, and quality and engineering professionals. The company's aim is to support its products for practitioners in the Healthcare / Physical Therapy (PT) environments. Headquarted in Pompano Beach, FL, LL Corpus also has an offshore engineering facility located in Mysore, India. Monark is a partnership between Florida Builder Appliances, Westar Kitchen & Bath and Standards of Excellence and distributes home appliances. Its showrooms feature premium appliances from well-known names such as: Sub-Zero, Wolf, Miele, Gaggenau, Thermador, Viking and more. Monark provides builders, architects, designers and remodelers with the necessary tools to design and build the most extraordinary homes. Headquarted in Pompano Beach, FL. The Rug Place offers a wide selection of one-of-a-kind rugs in Baton Rouge, LA and Jackson, MS. The company is locally owned and operated by Yvonne Kelleher, her daughter Coleen O'Brien, and granddaughter Anastasia Fasy. Customers are guaranteed to receive quality workmanship and superb styling in every rug. Opened in 1999, The Rug Place continues to offers rugs designed to fit any decor and any budget. Sunshine Notices, is a full service Notice to Owner Company that can help clients prepare and/or record (online) their Claim of Liens and Notices of Commencements, Notices of Non-Payment, Demand Letters, etc. Since 1994, Sunshine Notices has been serving the construction industry. The company cares about the induvidual needs of each client and is determined to provide excellent customer service. Sunshine Notices is located in Pompano Beach, FL. AllComm, based in Pompano Beach, FL, is an audio visual production company that provides cutting-edge technology in HD video, concert quality sound, intelligent LED lighting, and scenic design. It provides high quality equipment for local venues and other production companies. Founded in 1993, AllCom continues to offer its production services to many Fortune 500 companies in venues worldwide. Forward Industries provides a wide range of products such as carrying cases, bags, clips, hand straps, and related items for medical monitoring kits, bar code scanners, cell phones, MP3 players, cameras, and firearms, etc. For the medical, military, automotive, industrial, and other markets. Headquarted in Pompano Beach, FL, the company also has facilities in Granger, IN, New York, NY, Holland, Switzerland, China, Hong Kong, and Taiwan. Pallet Consultants delivers quality recycled, new and remanufactured pallets through fine-tuned manufacturing and transportation operations. It serves the grocery warehouses, produce packers, citrus growers, fertilizer and mulching facilities, and many other industries. Companies that are clients of Pallet Consultants include Pepsi, Kraft, Costco Wholesale, All Natural Snapple, etc. Founded in 1966 in Pompano Beach, FL, Pallet Consultants has additional locations in Atlanta, Savannah, Orlando, Jacksonville, and South Carolina. Alpine is a leading provider of innovative products and services for the building components industry for more than 50 years. Its product suite includes software, engineering services, connector plates, equipment and the premier cold formed steel truss system. Alpine has offices, manufacturing plants and distribution facilities throughout the US ( Florida, Illinois, Texas, Missouri, Mississippi, California), also locations in Canada.